Great read!! Devney Perry did it again!! Outstanding ending to a wonderfully delightful series!! The series as a whole gives you all the feels! Sophia became a woman who needed to believe in herself, in her worth. Dakota was the perfect man to help her with that! A great read! The epilogue was great! The bonus epilogue was even greater! Great job Devney! This is definitely a series I will read again and again! If you’ve read Tattered, you know Sofia Kendrick... and like me, you came into this book hating her. 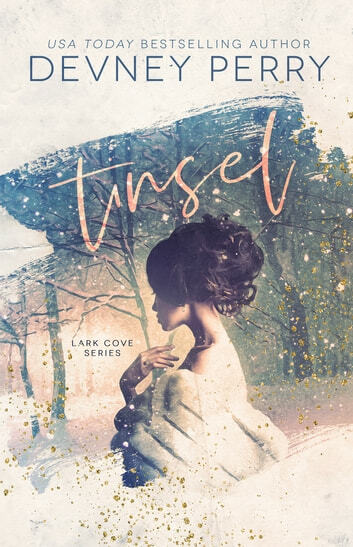 In Tinsel, you get to see a glimpse of why she is the way she is. You see her background. You see her. It isn’t until a very public, unfortunate incident sends her running to Lark Cove, Montana and into a situation that she’s unfamiliar with that she discovers who she really is and where she belongs... and who she belongs with. Devney Perry has a remarkable ability to take this highly disliked character and give her new life. Sofia does a total 180 and becomes a strong and independent woman that we all end up liking. This is a story about a lost soul, strong family ties, and tough decisions. Dakota and Sophia... there is so much to be said about these two. There are so many emotions. You don’t want to miss the story between these two! This may be my least favorite Perry novel but I still highly recommend it. Her writing is exquisite and you don’t want to miss any story that flows from her. The words and story sparkle. 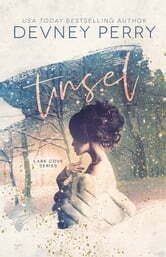 Tinsel is another fabulous book by Author Devney Perry. Her books capture everything an extraordinary book should have. Her words and books have permanent places on my bookshelf and are forever tattooed on my heart. Her stories are the kind that demand rereads and have you thinking about them out of nowhere from time to time like you would about an old friend. You become that invested and enamored with the characters. She creates amazing fictional worlds and characters. Sofia agrees to interview for a magazine article along with several other Manhattan heiresses. She expects the article and her picture perfect cover picture to paint her in a favorable light. It does the opposite and makes her seem shallow and materialistic, like window dressing and tinsel...just to be looked at, but lacking substance. It shatters her already thin self confidence. She escapes to Montana and meets Dakota... Dakota and Sofia are two people from two totally different worlds that are inexplicably drawn to each other. Neither wants to act on their attraction, but can they help themselves?! Devney Perry is an Author I want everyone to know about. This is an Author that everyone will know about. This author’s flawless writing speaks for itself and readers are flocking to her. The ending...gah...the ending!!! It ties the whole series and all of the characters together. It is beautiful and made me cry happy tears! This book surprised me in a good way! The author explained very well some of the issues that pop up when two people from different cultures fall in love. I felt strongly for both sides. Very well done. Another fabulous 5-star book by Devney Perry! I fell in love with both Sofia and Dakota so much! Honestly I was a bit iffy when I realized this was going to be Sofia’s story, especially how she was introduced in Tattered, but I knew we were going to be in good hands with Devney Perry as the author! Sofia is so much more than she had been portrayed, she has this inner strength and intelligence and such beauty, not just on the outside but inside as well. And swoony Dakota, he’s had to make so many difficult decisions but he showed such fortitude to do what was right for himself. I absolutely adored how he understood and saw Sofia for who she really was, pretty much from the very beginning. There were so many obstacles these two had in their way to be together, but we saw the love they had for each other so their happily ever after was inevitable.